Rupert Pupkin Speaks: Arrow Video: Two from Bava - BLACK SABBATH & BARON BLOOD Blu-rays ""
There are certain directors whose films were made for a high definition format like Blu-ray. 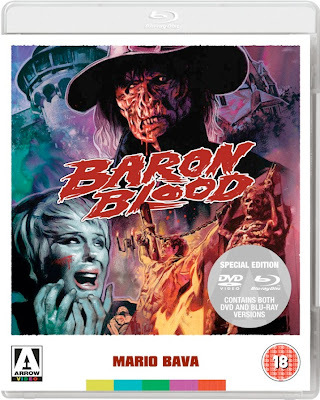 Mario Bava is one of those guys. His color palette, lighting, compositions & camera moves are all quite exquisite and deserving of the best possible presentation. He is an absolute master at creating atmosphere through all those elements combined. BLACK SABBATH features a trilogy of horror tales, each introduced by Boris Karloff. 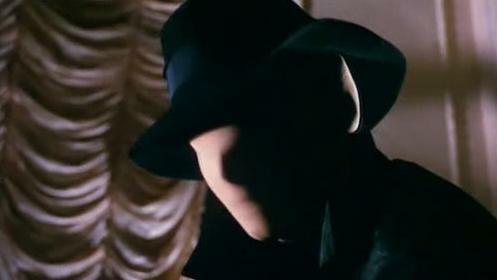 There were two versions of the film created - the original Italian and a version from American International Pictures. 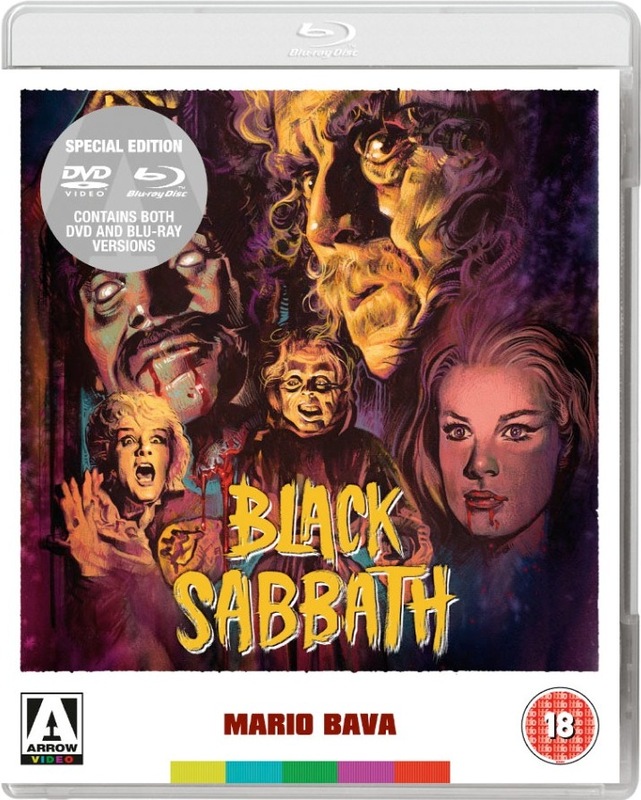 The American version of BLACK SABBATH was recut and shifted around by AIP(also re-scored). While both versions start with Karloff introductions, the intros are a little different. The American version features a lovely "floating head" of Karloff(which i rather like)to kick things off, the Italian version does not. The AIP version presents the three stories - "The Drop of Water", then "The Telephone", ending with "The Wurdalak". In the Italian version, the sequence is "The Telephone", then "The Wurdalak", ending with "The Drop of Water". The Italian version has title cards before each story, while the AIP features Karloff using some sort of framing device to set the stage for each(he's reflected in a pool of water or answers a telephone etc). Though all three "tales of terror" are fairly tame by today's standards, they all have their creepy moments. 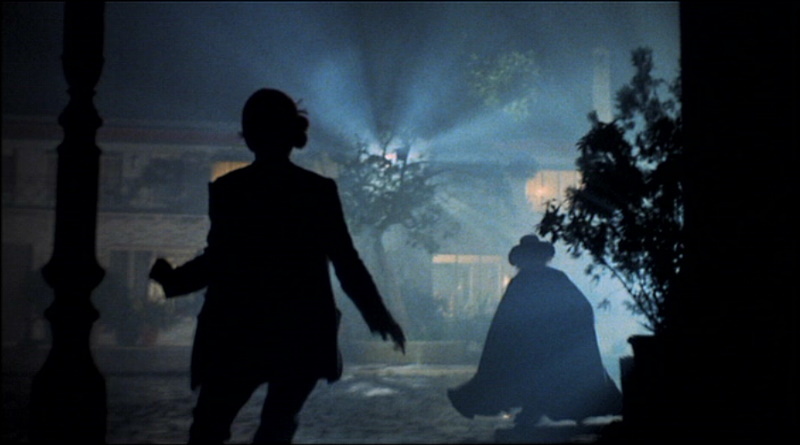 For me though, with Bava, it's more about his visuals. I remember an early interview with Tarantino where he called out his heroes as being, "Martin Scorsese, Mario Bava, Sam Fuller...you know, 'cinema guys'." Bava is absolutely a 'cinema guy'. His visual language is sumptuous, moody and captivating. My favorite of the three stories is "The Wurdalak"(based on a story by Tolstoy) and hence I tend to prefer the American version of the film as it finishes with this part. Boris Karloff stars in this one and he is perfectly suited not only for the role, but for the Bava universe in general. His creepiness here recalls some of my favorite creepiness from him in films like THE BODY SNATCHER. Special Features include the featurette "Twice the Fear" which runs about 30 mins, and details the many differences between the Italian and U.S. cuts of the film in a very nice side by side comparison. Also included on the disc is an audio commentary by Bava expert Tim Lucas, which is fascinating and packed with tons of info. This track rivals any Criterion commentary track and is a wonderful inclusion. BARON BLOOD was released in 1972, almost a decade after BLACK SABBATH. It's a bit gorier that SABBATH and one can assume that is in part because of the time it was released. This film certainly teaches us never to attempt, even jokingly, to revive the dead spirit of an ancient torturer. He'll probably be kinda pissed off when he returns, and in the case of Baron Blood, not looking too good. He's a bit...well "rotty" at first. He's also like a more violent Italianized version of a Mr. Hyde-type monster character(or a Phantom of the Opera-type). Plenty of killing from him. Old Hollywood actor Joseph Cotten plays the titular Baron. Bava brings in a haunted castle element to this monster story and adds his usual gothic flair. Lots of dark corridors, and ambient fog. Elke Summer(who I've never been a huge fan of) does a lot of screaming and a bit of being chased around. I like the general look of the Baron. He wears a long black cape, almost a duster and large-brimmed hat - like a shadowy, evil Scarlet Pimpernel(or Vincent Price in THE WITCHFINDER GENERAL). Reminds me a bit of the look Bava gave to the killer in BLOOD AND BLACK LACE(one of my favorite entries in his filmography).